Gap or Loan/Lease Payoff, Which One is Right for You? Everyone knows that a new vehicle depreciates the moment you drive it off the lot, but did you know that a new car loses 10% of its value in the first month of ownership, and 20% in the first year? If you’re lucky enough to be able to purchase a new vehicle in cold hard cash, you don’t need to worry about what that depreciation means for you. 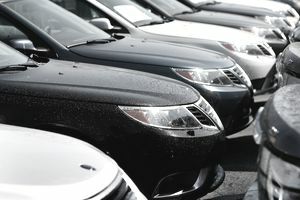 But if you’ve taken out a loan to finance your new vehicle, especially if you’ve put less than 30% down on your vehicle, you need to consider taking additional steps to protect your investment if something happens to your vehicle. When purchasing a new vehicle, it is important to take action when you think you might be upside down on the loan for any period. Gap insurance or loan/lease payoff coverage is your answer. But which one would be the best choice for you? A couple of things to consider include what time frame you have to purchase the coverage, how much coverage you need, how much the coverage costs, and its availability. True gap insurance must be purchased within a very short time frame, usually within 30 days of your new purchase. It is only allowed on a never before titled vehicle. These restrictions can make it difficult for some buyers. A decision needs to be made as soon as possible, so you do not risk going outside the designated time. Loan/lease payoff coverage is available for purchase at any time. If you do not find out about the coverage until a friend brings it to your attention months after your initial purchase, you would be able to add loan/lease payoff to your policy. Flexibility is always a good thing when it comes to insurance. Gap insurance covers the entire difference between what you owe on a vehicle and the ACV of your standard claim settlement. A lot of times, even your deductible is covered when you have purchased gap insurance. Having no limit on the coverage gives you a better sense of security because you don't have to worry about the coverage short. Loan/lease payoff generally only covers 25 percent of the ACV of your vehicle. For instance, if your vehicle has an ACV of $20,000, the maximum the loan/lease payoff coverage will pay is $5,000. Also, with loan/lease coverage your deductible usually applies. Both of these stipulations could leave you with an out of pocket expense in case of a total loss. Determine how much of a shortfall you will have if you were to face a total loss claim today. Compare what you owe to Kelly Blue Book's valuation. A lot of the time, the 25 percent coverage offered with the loan/lease payoff is plenty. You will find both gap insurance and loan/lease payoff fairly inexpensive. The risk the insurance company is taking with this coverage is minimal. Gap insurance and loan/lease payoff only pay out in a case of a total loss. A lot of time, the gap between what you owe and what the vehicle's ACV is, isn't drastically different. Both reasons make this coverage reasonably priced. To find out the final cost of the coverage, you will have to get multiple quotes. Gap insurance is more common than loan/lease payoff coverage. Most auto lenders offer gap insurance at the time of purchase and a lot of lease agreements automatically include gap insurance. More insurance companies offer gap insurance vs. loan/lease payoff. Loan/lease payoff comes in handy for used cars since gap typically isn't offered for used vehicles. Be careful when you see the term loan/lease payoff because it can sometimes refer to true gap insurance. Check with your carrier to determine the exact coverage offered. If loan/lease payoff coverage is something you are really interested in, Progressive offers loan/lease payoff but does not offer gap coverage. Also, check with your finance company to see if loan/lease payoff is available. Know your options, if you realize later on in your loan that you are upside down, you should look for loan/lease payoff coverage. If you want complete payoff of your vehicle without worrying about a deductible or any out of pocket expenses; true gap insurance if just what you need. Both coverages can protect your future financial security. Nobody wants to be caught upside down on a car loan. Do everything in your power to plan ahead for your car purchase to limit or totally cut your need for gap insurance. In some cases, it is unavoidable such as leasing a car or a financial problem combined with car troubles. Transportation is a necessity for most Americans. If you find yourself underwater in a car loan, make sure to take the proper precautions with some form of gap insurance.